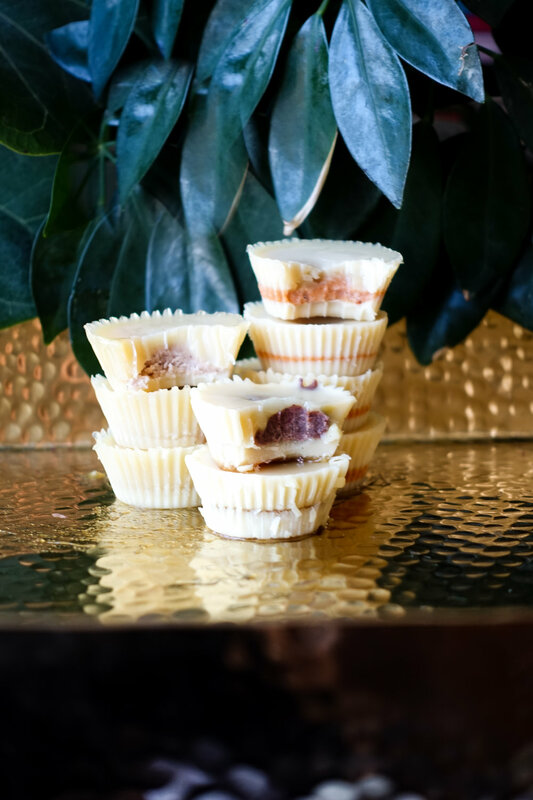 These white chocolate cups give a festive spin on the traditional peanut butter cups, and although they may look unassuming they taste pretty delicious! 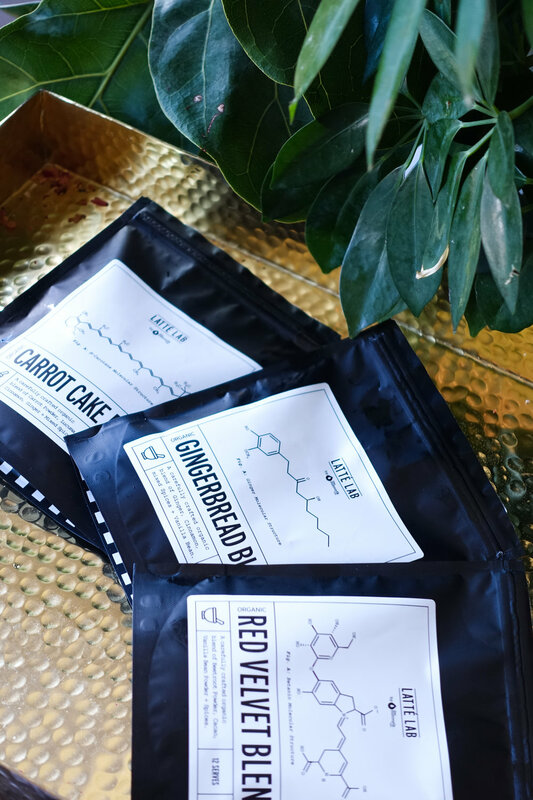 They're certainly not as sweet as traditional white chocolate, but are packed with nourishing fats and plenty of amazing spices and powders thanks to the use of The Latté Lab's tasty powders in the filling! I've used Ceres Organics' coconut butter here as my nut butter of choice as it has a lovely, creamy consistency that sets well, a mild and delicious flavour that compliments all the other flavours, and it is lightly coloured so will allow for the filling to take on a colour characteristic of the powders. Ginger, cinnamon, mixed spices and vanilla bean. Carrot powder, lucuma, cinnamon, ginger + mixed spices. Beetroot powder, cacao, vanilla bean powder and spices. Thanks to Ceres Organics and The Latté Lab for the ingredients used in this post. This post has not been sponsored. Makes 8 mini white chocolate cups - double or triple to make more to share or store in the refrigerator for quick, nourishing snacks! If you're unable to get your hands on the appropriate powders for the filling, you can always use inspiration from the ingredients of each blend at the bottom of the post and make your own. Lay out eight mini cupcake liners on a tray that will fit into your freezer. Make the white chocolate by gently melting all the ingredients together in a small saucepan over a low heat, constantly stirring until all dissolved. Spoon enough of the chocolate mixture into the bottom of each liner to cover the bottom. Make sure that the mixture is well combined before pouring into the cases as the syrup tends to settle on the bottom of the pot. Then, place in the freezer to set. Next, make your filling by stirring together the coconut butter and chosen flavouring in a small bowl until well combined. Set in the refrigerator to harden slightly. Take your hardened chocolate base and once chilled, form small balls with the filling. Make sure there is room around the edges for the chocolate if you'd like the entire outside of the cups to be white. Cover with equal parts of additional chocolate mixture until completely covered, then return to the freezer to set. Enjoy your chocolate! Store it in an airtight container in the refrigerator or freezer for a few weeks if desired. Don't leave at room temperature as they will melt.